As a child I loved decorating boiled eggs at Easter with funny faces and patterns. This is in fact an ancient tradition going back thousands of years. Engraved Ostrich eggs about 60,000 years old have been found in Africa and early Christians dyed eggs red in memory of the blood of Christ. In the 1600’s eggs were officially adopted by the Christian church as a symbol of resurrection. 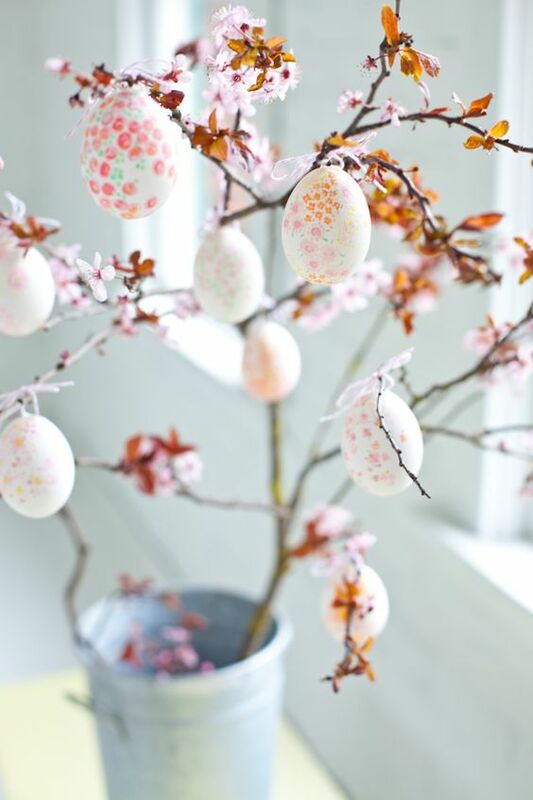 http://en.wikipedia.org/wiki/Easter_egg Here are some lovely ideas for decorating eggs and for creating Easter decorations. 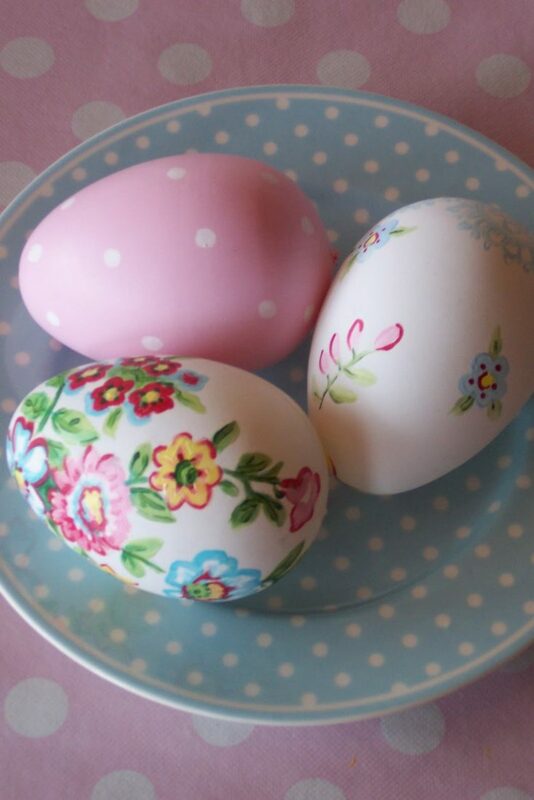 These pretty painted eggs from Lulufant can be as simple or elaborate as you like depending on your patience and painting skills. 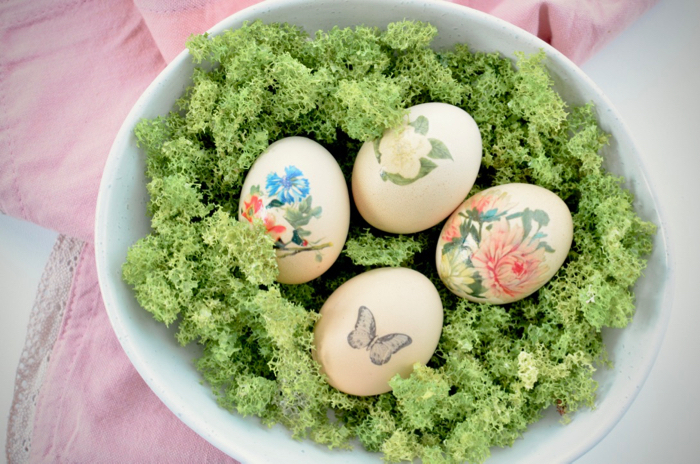 A quicker way to decorate eggs is to add temporary tattoos to them which look very effective in this wildlife theme from A House Full of Sunshine. 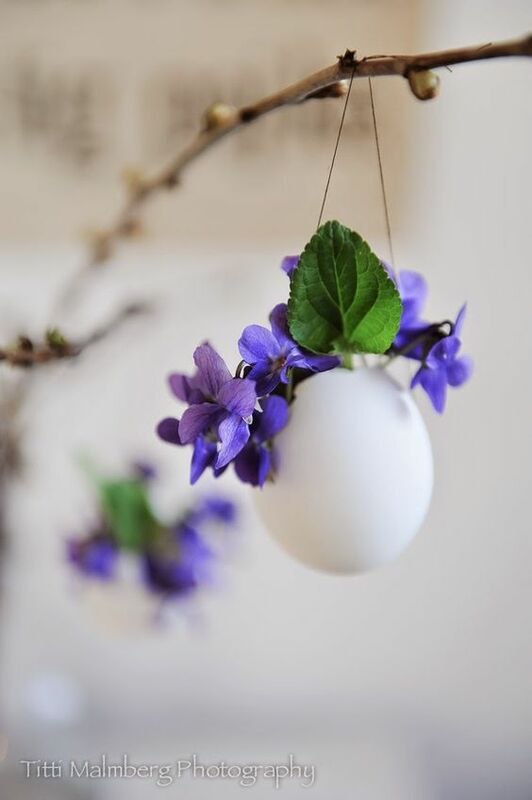 If using blown, papier mache or plastic eggs they can be hung from twigs and cherry blossom branches for a stunning Easter display. From Creative Mint. This idea from Titti Malmberg is just gorgeous and simple! 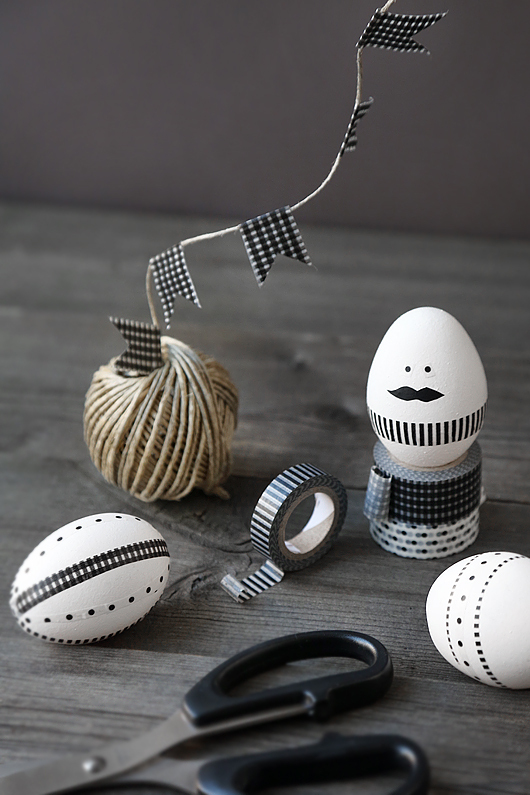 I hope you have fun and please see my Easter pinterest board for more ideas.